Bringing together an all-star cast of talent, Netflix announced today Abhishek Bachchan, Madhuri Dixit, Kareena Kapoor, Anil Kapoor and Jackie Shroff as the lead Hindi-language talent for the upcoming Netflix film, Mowgli: Legend of the Jungle. 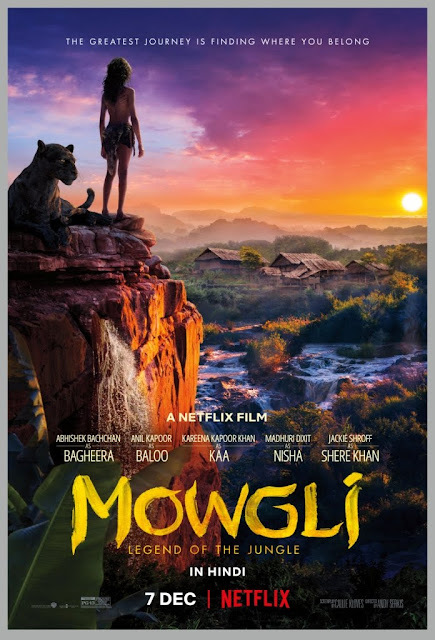 The actors of the Hindi version of Mowgli: Legend of the Jungle join an equally impressive international cast of Christian Bale (Bagheera), Andy Serkis (Baloo), Benedict Cumberbatch (Shere Khan), Cate Blanchett (Kaa), Rohan Chand (Mowgli), Matthew Rhys (Lockwood) and Freida Pinto (Messua) who also fulfills the role in Hindi. Mowgli: Legend of the Jungle premieres globally on Netflix on 7 December, 2018. Acclaimed actor and director Andy Serkis reinvents Rudyard Kipling’s beloved masterpiece, in which a boy torn between two worlds accepts his destiny and becomes a legend. Mowgli (Rohan Chand) has never truly belonged in either the wilds of the jungle or the civilized world of man. Now he must navigate the inherent dangers of each on a journey to discover where he truly belongs. Christian Bale, Cate Blanchett, Benedict Cumberbatch, Andy Serkis, Freida Pinto, Rohan Chand, Matthew Rhys and Naomie Harris lead an all-star cast in this visually spectacular and emotionally moving adventure.